Is it Time to Repair Your Garage Door? Think about it– how many times do we use our garage doors daily, weekly or even yearly? Garage doors are one of the most frequently used parts of our home. That’s why you should know the ins-and-outs of garage door repair before buying parts or calling the professionals. Be Knowledgeable About Your Garage Door: As a homeowner, you should know if your garage door is faulty. Continuously using a broken garage door could make expenses go from a quick-fix to a pricey-problem. Provide Regular Maintenance: Keeping your garage door maintained is important for its lifespan. There’s no doubt that you will eventually have to replace the door opener and the door itself– but there are a few things you can do to save yourself some money in the meantime. Occasionally tightening the nuts and bolts of the rollers, hinges and other metal parts is key for upkeep since they are constantly being used. Test Your Garage Doors: All you need is a paper towel roll to check your garage door’s alignment. Start with the door in the upright position. Place a paper towel directly in the garage door’s intended route and close the door. If the door doesn’t reverse and return to the open position when it reaches your paper towel roll, it’s out of adjustment. Call a Professional: If your garage doors aren’t working properly, they can cause serious injury or death. Call a professional to fix the alignment as soon as possible. If your garage door needs to be looked at by an experienced serviceman, then Taylor Door Co. is the only name you need to know. 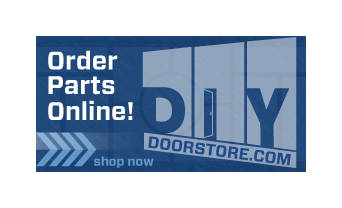 We pride ourselves in fast, friendly service with quality door selection and parts to match. 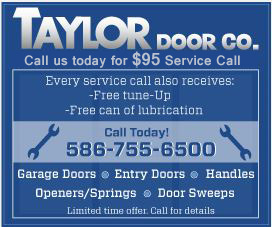 Call 1-800-NEW-DOORS for the best garage door services and a free estimate with Taylor Door today! Tagged as: do it yourself garage door repair, door repair tips and tricks, garage door repair detroit, garage door repair mi, how to fix my garage doors, how to keep up my home, how to take care of garage doors, how to test garage door alignment, is it time to repair your garage door? Previous post: What Does Your Front Door Say About You?